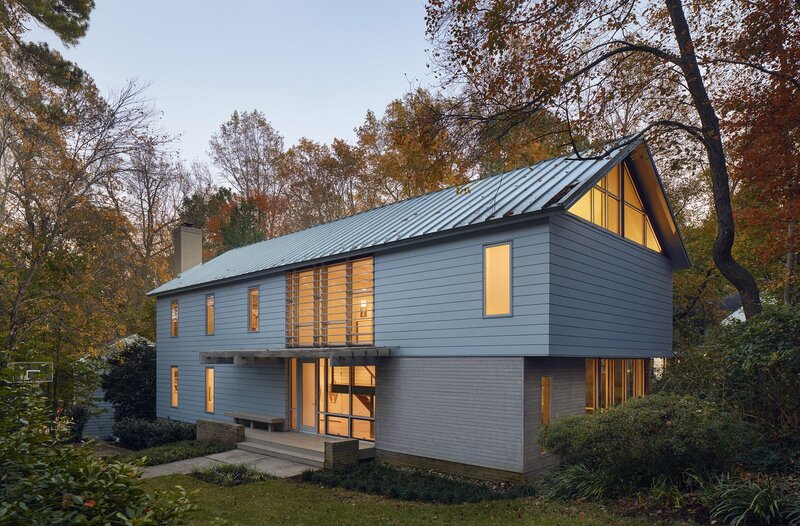 A fiber cement “wrapper” clads the addition and the renovated home, which now totals 3,300 square feet. A translucent plexiglass canopy defines the new glassed entry. The front right corner, finished with contrasting local Atlantic white cedar, denotes a work room that serves the storage purposes of the previous garage.